It might sound silly, but the secret to top customer engagement is actually not using a particular system. It’s simply about consistency, but using the right program can make life easier for you to gain that consistency and allow you to make changes relatively quickly.cloud-based crm is one way that you use consistency and planning ahead to get the most out of engagement. It also brings in new customers while providing top service to your existing client base. Follow the tips below to learn more about the best way to succeed when it comes to customer engagement. 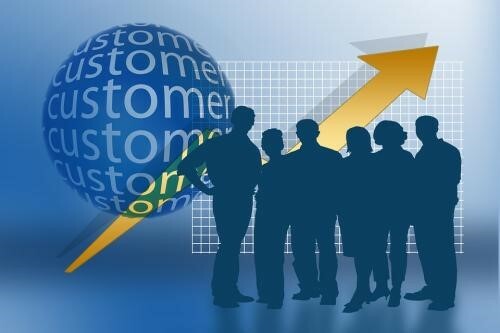 Are you staying Customer Focused? Getting your employees to blog about the company is one way to get content out there quickly and to engage with your customers. But you need to have quality guidelines and standards before sending employees off into the blog-o-sphere. Your house tone and business mission should be apparent in these posts, and it’s a good idea to have common requirements. Your employees probably know the company quite well, but they are not the only ones who provide value when it comes to content. Getting high-profile content writers to step in and provide additional content can take time, but it’s well worth the investment. An established writer can come with his or her own audience and following, and it’s also beneficial for SEO purposes to have links going in both directions. Hiring a guest writer to work on your blog can bring additional intrigue and highlight your role as a professional and leader in the industry. Do you share your brand’s story? Remember that customers love to see behind the curtain. Make sure that the story is interesting for readers and has some great points, and that it is consistent with your corporate culture. Letting people peek behind the scenes and get a sense of how your employees work together toward common goals can help to increase engagement and loyalty. With a lot of data at your fingertips, it’s obvious that using a CRM has a lot of potential for big payoffs in terms of engagement. So set routine goals! What events will prompt your company reaching out and connecting with your users? Is it a birthday? An anniversary as a customer with your company? The best cloud CRM takes away a lot of the challenges associated with keeping track of customers and it also ensures consistency across the board so that you have an ongoing relationship with those who value you.